The Driver Suit Blog-Formula One Month Ends With A Bang! On this, the last Friday Feature of Formula One Month, I’ve saved the best for last. I really do mean the best here. With 91 wins, 155 podiums, 1,566 career points, 68 pole positions, and 29 total Formula One records including wins, podiums, championships, and pole positions, Michael Schumacher is one of, if not the greatest drivers in the history of Formula One. His 91 career wins is 40 wins total over the next driver, Alain Prost, who has 51 wins. From 1991 to 2006, Schumacher raced for Jordan, and Bentiton, winning two championships for Bentition, before moving to Ferrari in 1996. After being disqualified from the World Championship for is actions at the European Grand Prix, Schumacher returned to a 2nd place finish in 1998, then down to a 5th place finish in 1999. Then in 2000, while still with Ferrari, he began his 5 Championship run from 2000 to 2004. After two more successful years, Schumacher retired in 2006. From 2007 to 2009, Schumacher held a number of position in Ferrari, including team adviser, and road car driver. When Mercedes restarted their Formula One team, they gave Schumacher a chance to drive, next to Nico Rosberg. Schumacher took it, and for three seasons, he raced again in Formula One. This didn’t go so well, with Schumacher not winning, and only scoring one podium. After the 2012 season, Schumacher retired for a second time, this time for good. Schumacher was known for wearing Sparco suits while with Bentition, and OMP suits with Ferrari. When he returned from retirement, he wore Alpinestars with Mercedes in 2010, and 2011. In what was his final season before his second and final retirement, he wore Puma suits for 2012. 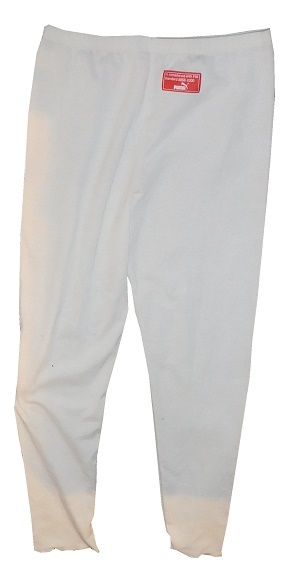 This pair of pants, worn under the driver suit, is attributed to Schumacher.The lightweight Nomex Puma pants are in good condition, and show some light wear. 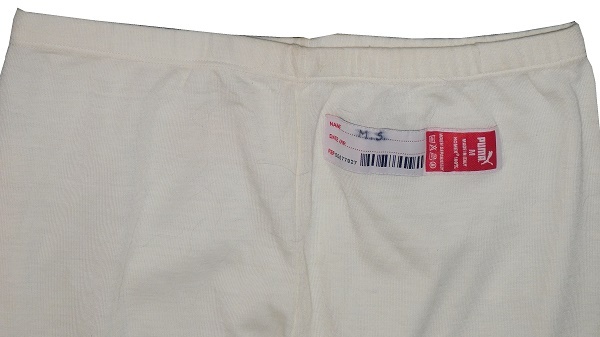 The waist shows some light wear, and has a Puma wash tag with M.S. written in Sharpie. 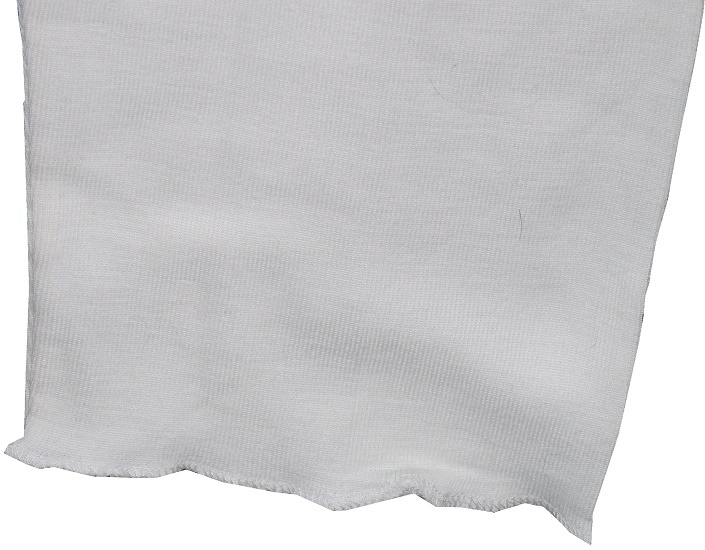 This appears to be the same writing as the Valtteri Bottas undergarments. The cuffs are hemmed, but the hem is very hard to see. 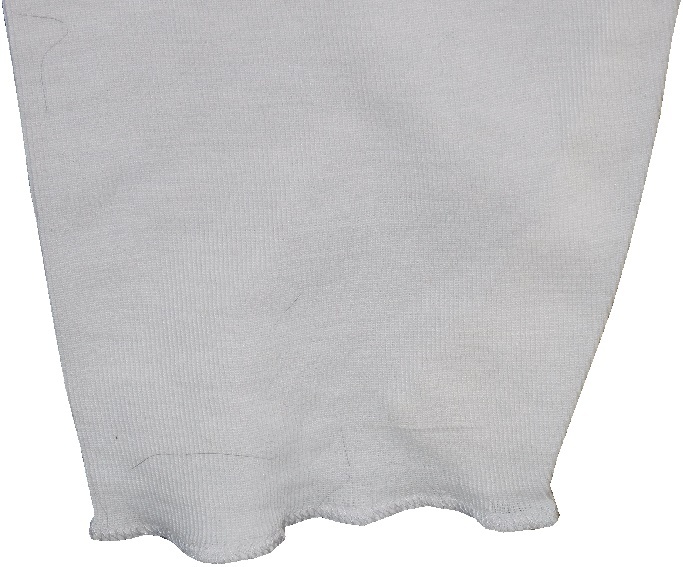 The back of the pants don’t show any wear to speak of. 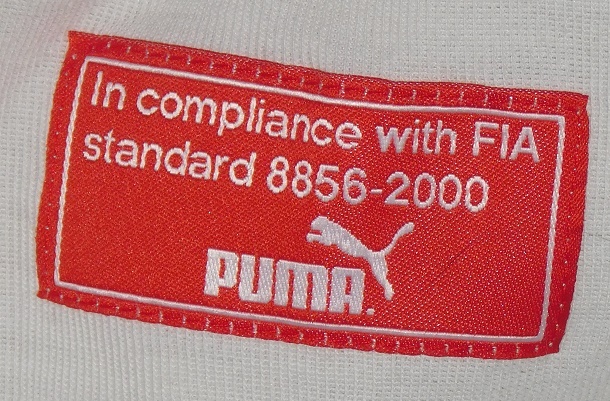 On the center, just below the hem on the back of the pants is the Puma FIA 8856-2000 Compliance tag. I’d like to believe that Schumacher could have had one more run in Formula One in him, but tragedy struck. On December 29, 2013, Schumacher and his son Mick were skiing off-piste on the Combe de Saulire below the Dent de Burgin above Méribel in the French Alps, when he fell, and hit his head on a rock. Despite wearing a ski helmet, Schumacher suffered serious brain injuries, leaving him unable to walk, and having serious memory problems, and unable to speak. He may never walk again, and certainly will never race again. It’s a tragic and sad end to a racing legend’s career, and maybe his life. Although his life has more or less been ruined through his skiing accident, his life will forever be known for Formula One, and his legacy as one of the greatest of all time has been cemented. I can only wish him and his family the best in his recovery. With Formula One Month now complete, I’m going to shift focus to one of my December traditions…The Paint Schemies! That takes place next week!